M950A (Calico) is a favourite for HGRF Echelons. Her main gimmick lies in her powerful RoF buff, which clocks in at 30% RoF from her buff tiles and 25% RoF from her Skill. This is the most potent RoF buff given by one unit in the game, and due to this, M950A is often employed as a RoF buffer for RFs; due to their inherently low RoF, they appreciate the boost. One downside to using M950A is her stats combined with her buff tile placement; although she has mediocre tanking stats, M950A buffs diagonally behind her, meaning that to make use of her tiles she needs to be placed as the main tank. Another downside is that the potency of her buff can work against her, as top-tier RFs like WA2000 can’t actually make good use of it due to hitting the RoF cap under its influence. Overall, though, M950A is still a great HG – while she’s not the most flexible, she still offers amazing utility in many team compositions. M950A, through both her tile buffs and Skill, provides the most powerful RoF buff ingame. 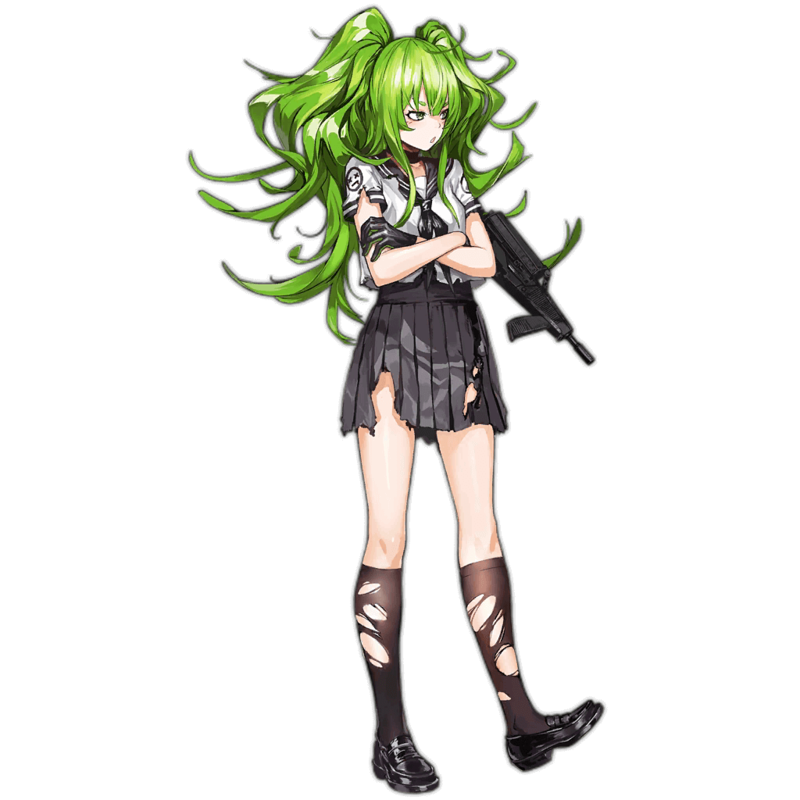 M950A buffs diagonally, which forces her to take the Main tank position in order for the damage dealers to receive her buff. This is not ideal due to her mediocre tanking stats. Sometimes, M950A’s RoF buffs are too powerful to see ideal use in HGRF Echelons depending on the units used. M950A’s RoF buffs are very valuable for RFs; with this powerful buff, however, comes some downsides as well. M950A’s RoF buffs are her main notable feature, and for good reason. Her buff tiles provide a 30% RoF and 50% Accuracy boost; and although 50% accuracy isn’t ideal for RFs due to their high base Accuracy, the 30% RoF buff makes up for it. This is, in fact, one of the most powerful RoF buffs in the game, making it a good fit for many RF-focused Echelons.. 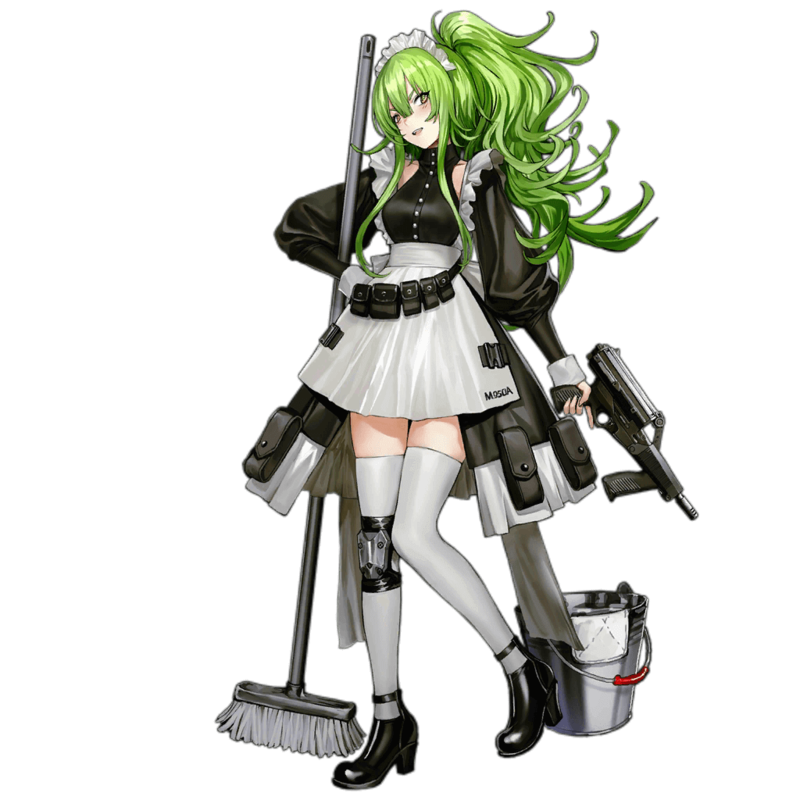 In addition, M950A has a Skill that focuses solely on RoF, buffing the team’s RoF by 25% through her Skill alone. Due to such powerful RoF buffs, M950A is in high demand for HGRF echelons with Damage self-buff RFs, as they have no way of boosting their inherently low RoF. One downside to using M950A, however, is her stange buff tile placement along with her mediocre tanking stats. As M950A buffs diagonally from the center, to buff the damage dealers in a conventional HGRF Echelon she must be used in the Main tank position. 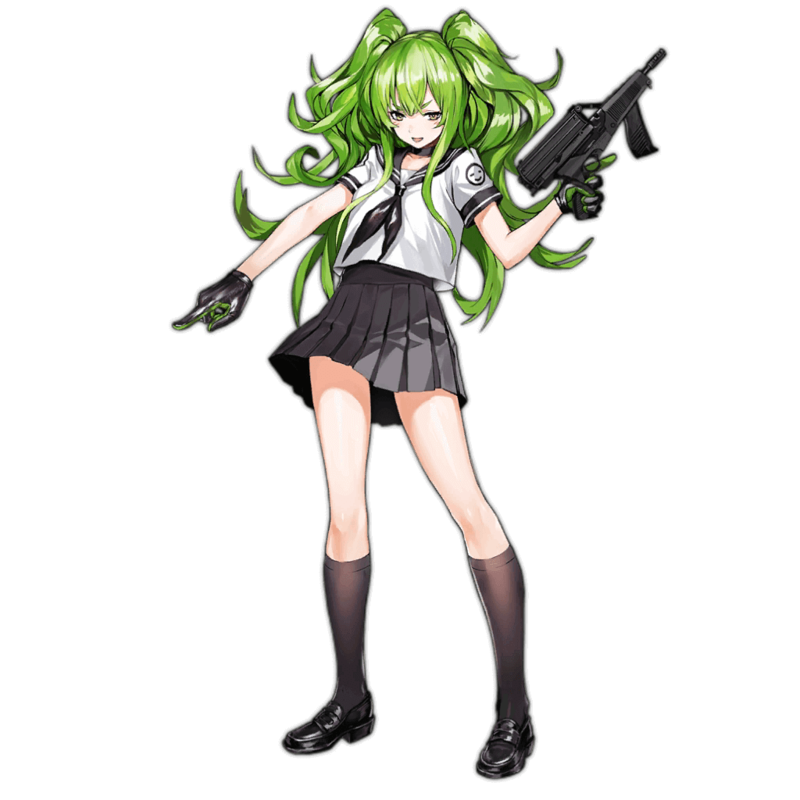 As M950A has low Evasion and average HP at best, however, along with no tanking support from her Skill, she isn’t the best fit for this role. Therefore in order to to make up for this deficiency, another HG who is better at tanking -- such as Welrod or Makarov -- must be used in the subtank position and switched with M950A in the beginning of every battle. Due to the hassle of having to do this repeatedly, some players choose to forgo M950A entirely in favor of an HG that can be used without micromanagement. Another downside to using M950A is that her buffs simply may be too powerful at times. In a fully maxed Echelon, WA2000 and SVD almost reach the RoF cap when making use of Calico’s RoF buff -- see our RoF cap guide here for more info. When making use of RoF self-buffing RFs, mainly WA2000 and SVD, it’s better to use three balanced RoF buffers instead of one potent one. This allows for evenly spreading out additional buffs to the two RFs instead of being forced into the position to use one non-RoF buff, which is suboptimal for RFs. Overall, M950A is a solid RoF buffer who commands a position in many HGRF teams. 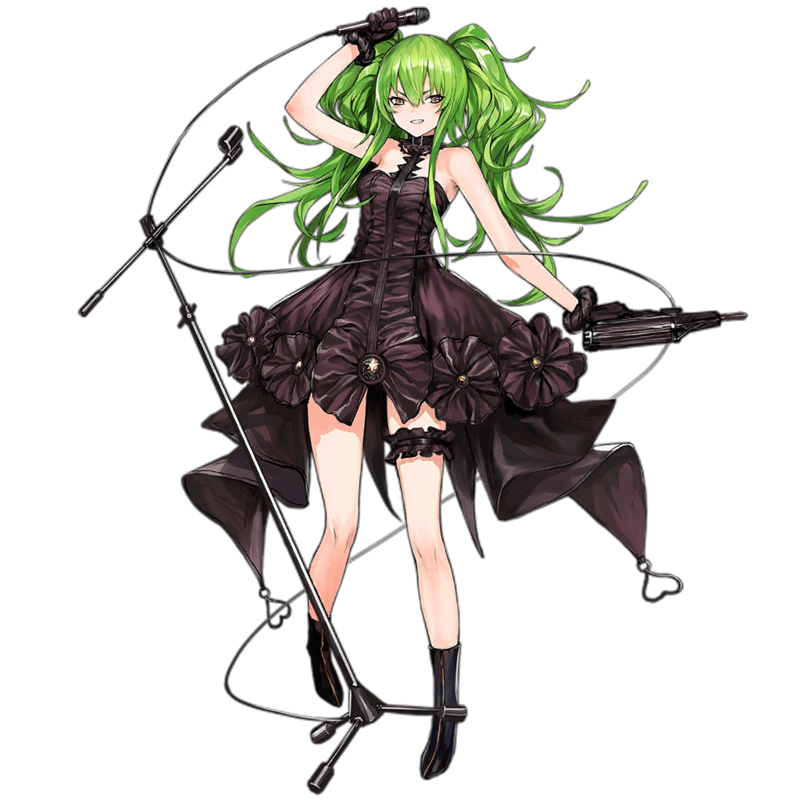 Due to several factors, however, she can be a rough fit for some Echelons, and her less user-friendly nature may make her an undesirable choice when compared to other HGs. As all RFs have inherently low RoF, all RFs outside Bamboo/Nuke RFs appreciate M950A’s buff. Some examples are WA2000, SVD, Lee Enfield, and M14. 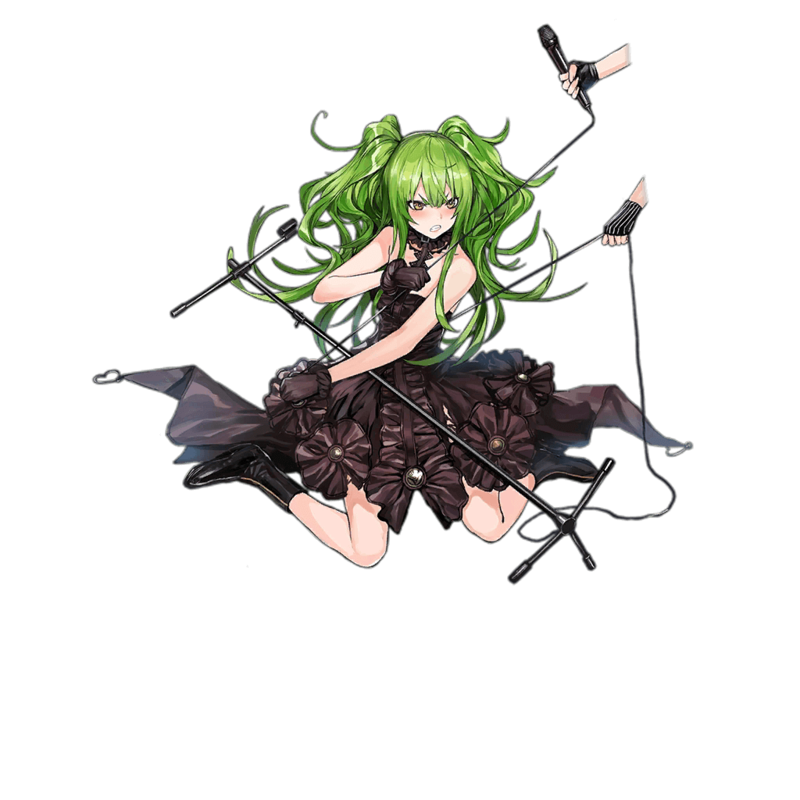 Since M950A cannot tank well herself, another HG that can tank well needs to be used in her Echelon to make up for this deficiency. Some examples are Welrod and Makarov. 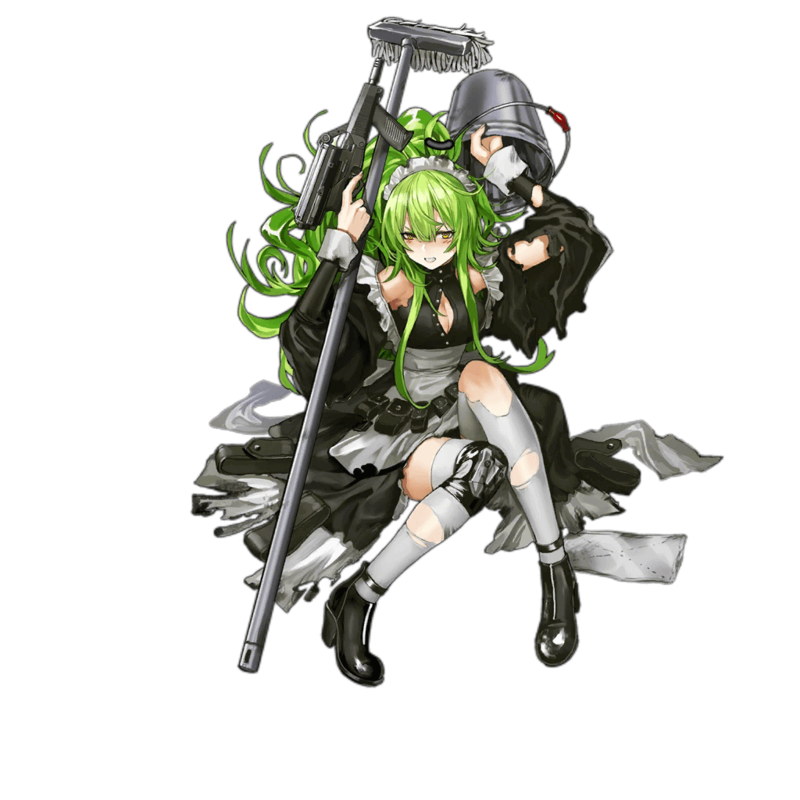 As M950A buffs diagonally, she must be used in the main tank position to buff the damage dealers. Keep in mind that as M950A cannot tank well, using an HG that can act as a Main tank in the Offtank position and switching her with M950A at the start of every battle is recommended. The Calico M950 was a very innovative and unusual weapon for its time. Its most unusual aspect was its detachable helical magazine which was mounted on the top of it. Even though the Calico M950 was a unique and almost revolutionary weapon, as it had many issues regarding its stability no country adapted it nor did it see commercial success.